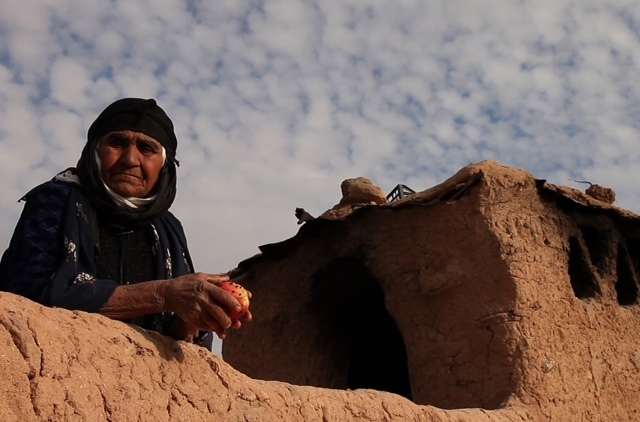 The London Kurdish Film Festival is pleased to host the UK premiere of the award-winning 1001 Apples – Taha Karimi’s documentary masterpiece at the BAFTA* in central London on Sunday 13th April at 3pm. The event will be an important opportunity to bring together filmmakers, film critics, academics and members of the public to discuss the role and representation of genocide in Kurdish Cinema & Art and will include a reception, an art exhibition and a panel discussion. According to Human Rights Watch, the ‘Anfal’ Genocide committed by Saddam Hussein’s Ba’athist regime against the Kurds in 1988, saw 4,500 villages destroyed, the use of chemical weapons in Halabja and a brutal collective punishment that saw over 182,000 people perish. Taha Karimi’s film 1001 Apples tells the incredible story of the ten Kurds who alone survived the mass graves during the Anfal campaign. Faraj, one of the 10 survivors, climbed out from amongst the dead and was taken to the USA by Human Rights Watch. Realising that few people were aware of the ‘Anfal’ Genocide, Faraj formed the ‘Iraqi Mass Graves Survivors Group’. 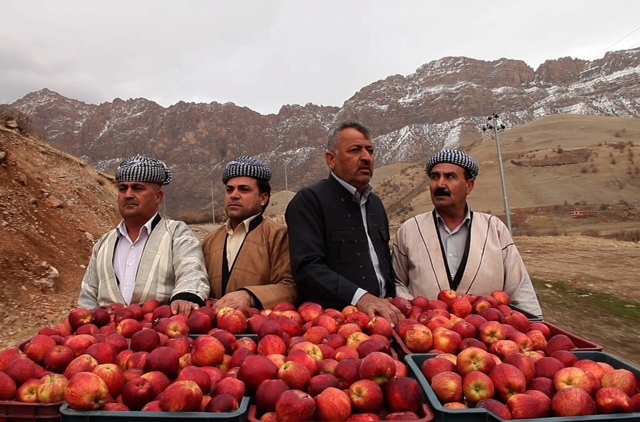 Returning to Kurdistan, together with four other survivors Faraj bought 1001 red apples and cloves and distributed them to families who had lost loved ones. These 1001 apples, the title of this profoundly moving film, serve as a symbol of peace and reconciliation. It is a great misfortune that 1001 Apples was Karimi’s last film. He tragically died in May 2013. Little known in Europe, Karimi is one of the Middle East’s greatest filmmakers. A panel discussion will follow the screening. Guests include Adnan Ahmed (Iraqi writer and film critic); Chiman Rahimi (filmmaker); Mizgin Mujde Arslan (writer and filmmaker); Dilshad Mustefa (filmmaker and academic); and Fazil Moradi (researcher at Max Planck Institute in Halle, Germany). The event also marks the 26th anniversary of Anfal. The UK Kurdish community is determined to keep the memories of ‘Anfal’ alive, not only for the prevention of future acts of genocide, but also for the elimination of all weapons of mass destruction worldwide. 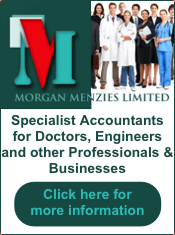 Your support would be much appreciated.